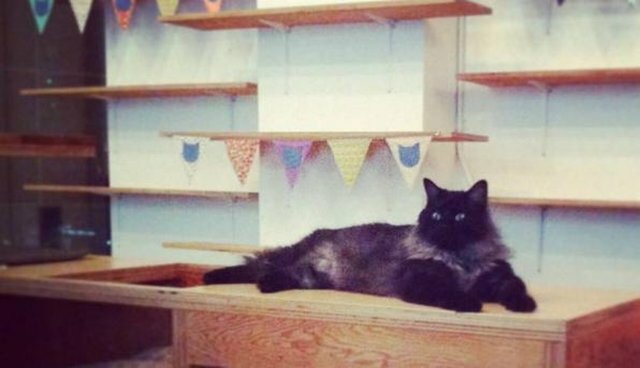 A popular café in Canada, one that specializes in both coffee and adoptable shelter cats, was forced to shutter its doors this week after running short on its furriest offerings. "Due to the overwhelming success of adoptions in our first few weeks, we have run out of cats!" Catfé partners with the British Columbia SPCA to give greater exposure to felines in need of a new family. Although it launched just last month, the clever adoption model of allowing people to interact with potential pets in a homey environment is proving to be real success. The café is expecting to receive a new shipment of 8 to 12 cats soon, and should be reopening its doors by Friday. Meanwhile, people interested in adopting cats are being directed to other animal shelters in the area which, unfortunately, aren't suffering the same lack of supply. To learn more about adopting a cat, visit your local animal shelter.